King John arrives in the USA! King John of England, best known as the wicked King who ruled England in the Robin Hood legends. Was he really as bad as he’s portrayed in the legends? Well, he may have been worse! 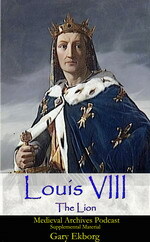 As the fifth son of King Henry II, John was a long shot to become the King. But the earlier deaths of his older brothers thrust him on the throne. 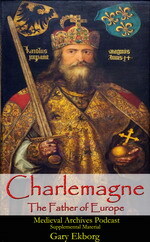 During his tumultuous reign he would lose almost all of the English territory in France, he was excommunicate by the Pope and his Barons revolted! The English Barons were so disgusted with his reign they invited the Prince of France to invade England and take the throne! All of this led to the Magna Carta, a charter of liberties intended to protect the barons and oversee the power of the throne. 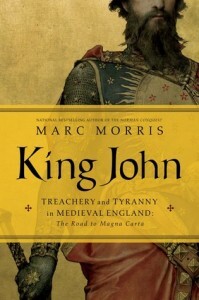 Back in March we interviewed Marc Morris about his new book King John: Treachery, Tyranny and the Road to Magna Carta. It’s an excellent biography of King John and his reign. This week King John: Treachery and Tyranny in Medieval England: The Road to Magna Carta is available in North America! You can buy it on Amazon, Barnes&Noble or at your local bookstore. You can get a free audio copy of King John by signing up for a trial membership at Audible! 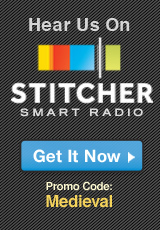 You can listen to our interview below or subscribe on iTunes. Marc wrote a piece on King John for History Today titled King John: Still Englands Greatest Villain. A rousing and authoritative new biography of the notorious King John, by Wall Street Journal bestselling author Marc Morris. King John is familiar to everyone as the villain from the tales of Robin Hood―greedy, cowardly, despicable, and cruel. But who was the man behind the legend? Was he truly a monster, or a capable ruler cursed by bad luck? In this new book bestselling historian Marc Morris draws on contemporary chronicles and the king’s own letters to bring the real King John vividly to life. John was dynamic, inventive and relentless, but also a figure with terrible flaws. 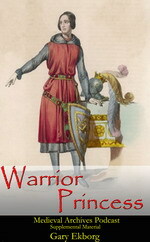 In two interwoven stories, we see how he went from being a youngest son with limited prospects to the ruler of the greatest dominion in Europe, an empire that stretched from the Scottish border to the Pyrenees. His rise to power involved treachery, rebellion and murder. His reign saw oppression on an almost unprecedented scale: former friends hounded into exile and oblivion; Wales, Scotland and Ireland invaded; the greatest level of financial exploitation since the Norman Conquest. A quarrel with the pope led to the king being excommunicated and England being placed under Interdict. John’s tyrannical rule climaxed in conspiracy and revolt, and his leading subjects famously forced him to issue Magna Carta, a document binding him and his successors to behave better in future. The king’s rejection of the charter led to civil war and foreign invasion, bringing his life to a disastrous close.